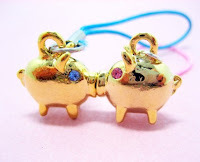 Piggy's Little Shop: Etsy : Made it to Gift Guides ! Etsy : Made it to Gift Guides ! 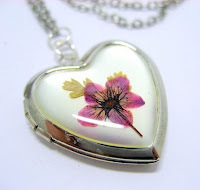 - This necklace features a locket with a flower embalmed in resin.. :) Perfect for Valentine's Day. No trouble to see why you made it to the gift guide, great items!! Congrats and those are absolutely gorgeous. Poll : Symmetrical or Asymmetrical Earrings? First Treasury in 2009 !! !